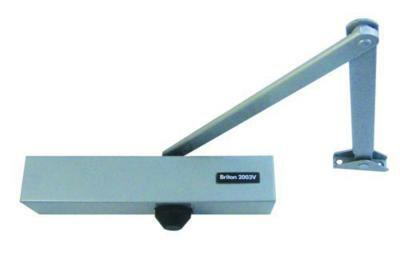 There are both Light Duty and Heavy Duty Door Closers available at Lockcentre. They differ widely in terms of their resilience to weight and this is reflected in the lower cost of the Low Duty Door Closers relative to the Heavy Duty Door Closers. The Low Duty Door Closers have a price range varying from the budget range at £15.36 to the top end of the range at £19.27. There are 4 products under this Low Duty Door Closer category from the manufacturers 'Perko' and 'Gibraltar'. The Heavy Duty Door Closers have a price starting from £38.98 up to £171.04 reflecting the quality and strength of the products in this category. Manufacturers include 'Briton', 'Union' and 'Perkomatic'.